I think Mute is one of the most underused features on Twitter, second only to Unfollow. I went on a bit of a rant about this on Twitter last week. 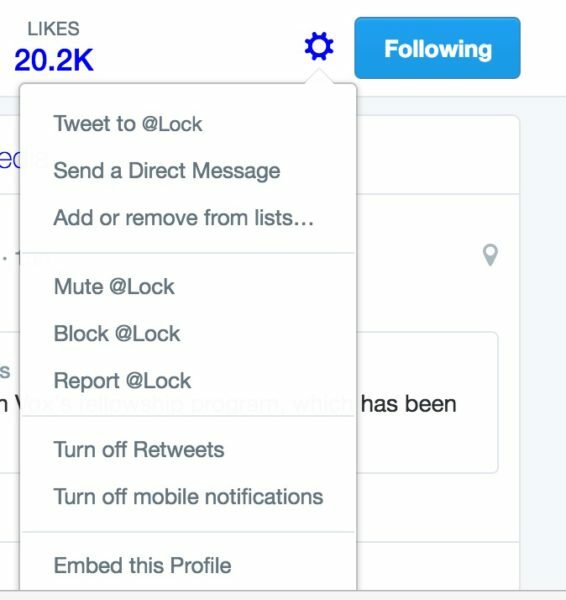 My friend Lock has a great Twitter, but when he watches the hated Red Sox and the Patriots, I just can’t take it. So I need to mute him. Here is how you do that on the web. Then you get this dropdown list. Select the Mute option. If you follow people on Twitter that you just need to turn off every now and then set up the mute option and use it when necessary. It makes Twitter such a better experience.